Megadrought: Is the Past a Key to Our Future? Megadroughts, defined as droughts far more severe than anything we have experienced in the 20th century, have occurred numerous times across the Southwest. Are we due for another? As outlined in Jonathan Overpeck’s October post “What’s Ahead for the Climate of the Southwest?” changes in drought and aridity are forthcoming. Warmer regional and global temperatures are driving more evaporation and shifting the position of winter storm systems away from the Southwest. But even without humans meddling with the climate system, paleoclimate records indicate extreme drought is not unusual here. Relatively short instrumental records don’t capture the full range of natural climate variability. Combining records of past climate preserved in archives such as tree-rings show droughts during the past 2,000 years that far outstrip anything we have seen during more modern times. The first Southwestern megadrought identified is perhaps the most famous in terms of human history. Known as the Great Drought, it was first described in 1929 by A.E. Douglass, who went on to establish the University of Arizona Laboratory of Tree-Ring Research. By collecting tree-ring samples preserved in the roof beams of cliff dwellings, Douglass created records of rainfall (recorded in the tree-ring width) and dwelling construction (recorded by the roof beam cutting dates). Doing this, Douglass revealed a 23-year-long drought, from 1276-1299 AD, corresponding with the collapse of the Ancient Pueblo culture and abandonment of cliff dwellings across the region. More recent research has shown that the Southwest was hit by an even more severe drought around 100 years earlier than Douglass’s Great Drought. Researchers from the Laboratory of Tree-Ring Research collected tree-ring samples from living and dead trees across remote regions of the Colorado River drainage basin. They used a series of sites to create a record of Colorado River flow extending back before 800 AD (Meko et al, 2007). The record shows an extreme drought persisting 62 years from 1118-1179 AD. 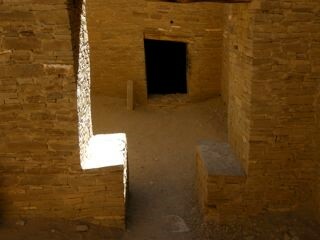 The last known inhabitants of the complex Chaco Canyon civilization in New Mexico disappeared during this same interval. In 1994 Scott Stine discovered two other considerable droughts that occurred during the 9th and 12th centuries in the Sierra Nevada, California. 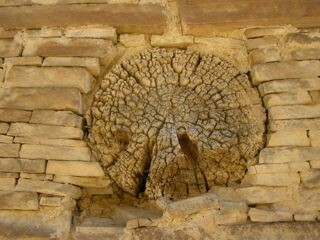 Stine counted the number of rings in tree-stumps growing in present-day lakes and rivers and used radiocarbon dating to determine their approximate death dates, when the rivers and lakes filled again. Because the tree species cannot live with their roots in water, Stine approximated minimum drought intervals lasting 200 years and 140 years respectively! We can argue if such persistent events should be called droughts or changes in baseline aridity. But no matter what we call it, such conditions would be problematic today. All these events occurred during the medieval period between ~900-1300 AD. This period, sometimes called the Medieval Warm Period or the Medieval Climate Anomaly, was characterized by a warmer than average Northern Hemisphere temperature. How much did these increased temperatures contribute to the extreme droughts? Sparse temperature records in the Southwest indicate many of these droughts occurred during warmer than average periods, but we still need more regional temperature records to draw robust conclusions about the long-term link between drought and temperature. Additionally, as longer moisture records become available, extreme droughts that occurred before medieval time are being revealed. Predictions of increased drought in coming decades due to greenhouse-gas forcing clearly have important implications for those of us living in the Southwest. Hydroclimate-related events of the past ten years, such as pine beetle infestations, water shortages, and the plummeting level of reservoirs, unmistakably show human and ecosystem vulnerability to drought in our region. However, the drought events described here also illustrate that extreme droughts can occur in the Southwest even without an added hand of human-induced warming. Time will tell what the ensuing century truly has in store.